The Mulberry Street senior center is run by the Chinese-American Planning Council, a community-based organization dating back to the mid-1960s era of the War on Poverty and the unprecedented growth of NYC's Chinese community after the 1965 immigration reform. 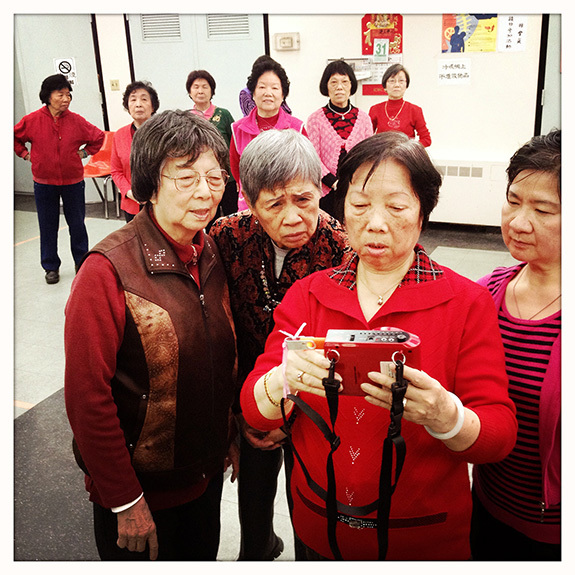 Located in the heart of historic Chinatown, across from Columbus Park, it serves 500 Chinese-speaking seniors daily. Over the years, Mrs. Eng’s group has grown from its initial 12 participants to over 50 members, mostly women. She can no longer move as easily and her eyesight is faltering, so she has turned over the leadership to someone younger – although she still likes to keep an eye on things and loves to sing the old folk songs. "My body is disabled, but my heart is not. I am happy when I’m here."